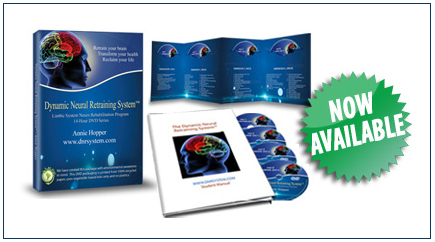 Annie Hopper has just announced the release of her 14-hour Dynamic Neural Retraining System™ (DNRS™) DVD series to her newsletter subscribers. The series includes 14 hours of live classroom and personal interactive instruction and presentation, 4 double-layered DVD disks, a 76-page student manual (not a transcript of the DVDs), and special exercises for chemical sensitivity, chronic fatigue syndrome, and fibromyalgia (plus, ways to easily customize the exercises for electromagnetic sensitivity, anxiety disorders and other limbic system impairments). English subtitles are available for the hearing impaired and other languages will be available soon. The program was packaged with the environment in mind; the DVD packaging and student manual booklet is printed from 100% recycled paper, uses vegetable-based inks only and no plastics. The booklet also uses no glues or adhesives. The DVD kit is being offered for $249.95 (plus shipping and handling), with a $50 discount for newsletter subscribers through October 22, 2011. 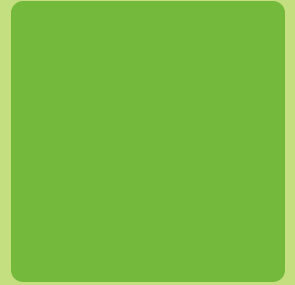 If you’d like to receive the special discount code, you can sign up for the newsletter at retrainingthebrain.com. Individual coaching packages are also available to support participants. Currently there are two certified DNRS™ coaches – Candy Widdifield and Elaine Stupendick, both successful graduates of the program themselves. Does anyone have a used set of the DNRS videos they would be willing to donate to a non profit for women with MCS or sell for a reduced price. Thanks. Does anyone have a copy of DNRS or Gupta that they would like to sell? Are they still for sale? If so, how much? I too would ve interested in a usedset of the DVDs.